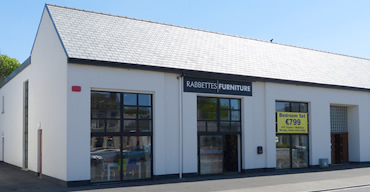 Rabbettes Furniture have been trusted for quality and service by the people of Mayo and Connacht for over 36 years. - Affordable nationwide delivery with FREE delivery within Mayo. “An absolute pleasure to deal with. We fitted out out entire house with help and advice from Rabbette's Furniture and interiors and are delighted at the results"
“A hidden gem. I can't believe I didn't find you sooner. your prices and selection are really unbeatable. Thanks for all the help!"